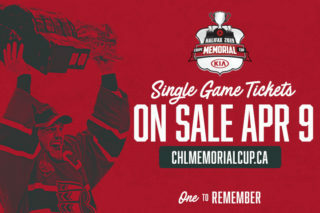 The CHL’s smallest community throws a huge party. The Acadie-Bathurst Titan paraded the Memorial Cup through the streets of Bathurst on Tuesday, revelling in the glory of being crowned the 100th team to claim the prestigious trophy dedicated to Canada’s fallen service men and women. 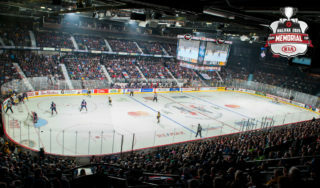 The President’s Cup was also on hand as roughly 5,000 fans in the town of 13,000 made it out to celebrate with the QMJHL Champions. “Just lifting the cup in front of all the people and hearing them go crazy, it’s really special,” Titan defenceman Noah Dobson told CBC.ca’s Nathalie Sturgeon. 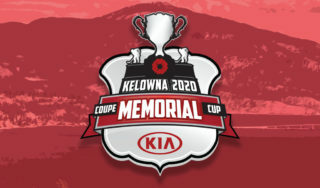 Led by veterans Jeffrey Truchon-Viel, Olivier Galipeau, Adam Holwell and Samuel Asselin, the Titan played to a 3-1 record at the 100th Mastercard Memorial Cup in Regina, getting a 28-save shutout from goaltender Evan Fitzpatrick in a 3-0 championship blanking of the host Pats on Sunday. 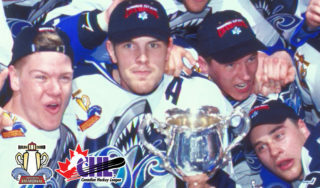 After winning a QMJHL title in their first season in Bathurst in 1998-99, the Titan waited 19 years to capture the President’s Trophy again before taking things a step further to hoist the Memorial Cup in its centennial year. 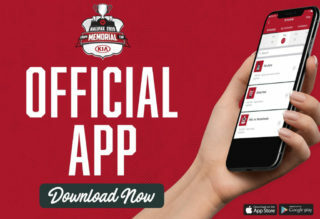 The Memorial Cup returns to the QMJHL for the first time since 2013 when Nathan MacKinnon, Jonathan Drouin and the Halifax Mooseheads were crowned national champions. Tuesday’s parade was just the beginning of what’s sure to be a summer full of celebrating in Bathurst as the Titan will forever be remembered as the 100th team to have its name engraved on the Memorial Cup. 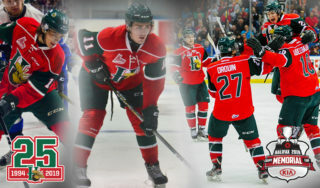 For more exclusive content please visit facebook.com/ABTitan.